Kingsford Farm Lodges offers accommodation in Whitestone. The accommodation boasts a hot tub. Torquay is 29 km from the property. All units have a seating and dining area. There is also a kitchen, equipped with an oven and toaster. 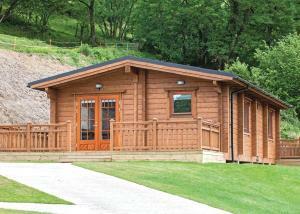 See all Kingsford Farm Lodges reviews..